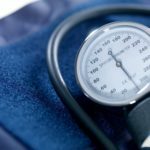 Blood pressure in individuals with hypertension is significantly reduced with catheter-based renal sympathetic denervation (RSD), according to a study recently published in the Journal of the American College of Cardiology. This meta-analysis does not, however, offer data on long-term safety or efficacy. This study included 977 individuals (mean age 52.8 to 64.5 years) with hypertension who were sourced from 6 randomized controlled trials. Participants were either treated with catheter-based RSD (n=582) or a sham control (n=395), with a primary efficacy outcome of change in ambulatory systolic blood pressure 24 hours after treatment. Follow-up lasted a median of 2 to 6 months. Intention-to-treat guided all data analysis, with random-effects meta-analyses used to summarize treatment effects on clinical outcomes. Summary treatment estimates were calculated using weighted mean differences (WMD). The treatment group showed significantly greater reductions than the sham group in both 24-hour blood pressure (WMD=-3.65 mm Hg [95% CI, -5.33 to -1.98]; P <.001), daytime blood pressure (WMD=-4.07 mm Hg [95% CI, -6.46 to -1.68]; P <.001), office systolic blood pressure (WMD=-5.53 mm Hg [95% CI, -8.18 to -2.87]; P <.001), office diastolic blood pressure (WMD=-3.37 mm Hg [95% CI, -4.86 to -1.88]; P <.001), 24-hour ambulatory diastolic blood pressure (WMD=-1.71 mm Hg [95% CI, -3.06 to -0.35]; P =.01), and daytime ambulatory diastolic blood pressure (WMD=-1.57 mm Hg [95% CI, -2.73 to -0.42]; P =.008). Second-generation trials showed greater efficacy than first-generation trials, with daytime ambulatory systolic blood pressure of 6.12 mm Hg vs 2.14 mm Hg, respectively (P =.04); 24-hour ambulatory systolic blood pressure did not show a significant difference between first- and second-generation trials, however. Adverse events were rare, with 1 study reporting major adverse events among 1.4% of the treatment group and 0.6% of the control group. The study’s limitations include a meta-analysis design, a short follow-up period, a lack of efficacy endpoints, a lack of objective measurement of medical adherence, and the inability to apply renal denervation’s benefits to those with elevated drug adherence. Several authors report financial associations with pharmaceutical companies. See the reference for complete disclosure information. Sardar P, Bhatt DL, Kirtane AJ, et al. Sham-controlled randomized trials of catheter-based renal denervation in patients with hypertension. J Am Coll Cardiol. 2019;73:1633-1642.